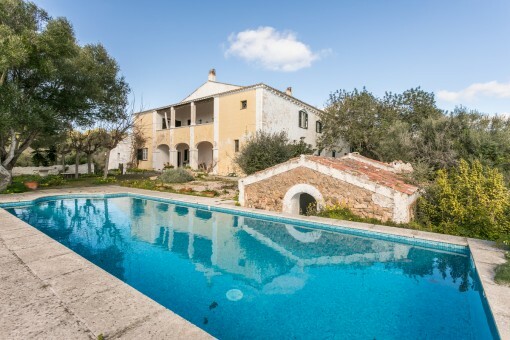 Porta Mondial Menorca - Selected residential and holiday properties in the world’s most beautiful locations. As a rule you may visit the pages of Porta Mondial Menorca without disclosing your personal data and without Porta Mondial Menorca requiring your data. As a user, you remain completely anonymous. Your personal data will only be collected if you disclose them voluntarily when you complete forms, for example during the course of a property enquiry or a registration. For further processing, we require your name, address, telephone number and e-mail address. If you disclose your e-mail address to us, we will use it to send you our Newsletter. The Newsletter is sent by e-mail and contains information about new products and offers. We will not disclose your personal data, which we use to send you our Newsletter, to third parties. You may unsubscribe from the Newsletter at any time with future effect by e-mail [info@portamenorquina.com], by telephone [Tel. : +34 871 510 261] or by post. If you have any questions with regard to the collection, processing and use of your personal data, you may contact Ralf Spielvogel, our Data Protection Officer, who is also available to deal with your information queries, applications or complaints. This site contains links to other sites that we are not partnered with, however, Porta Mondial Menorca is not responsible for the privacy practices or the content of such websites. Sites we partner with have often the same look and feel as our portamallorquina.com site. They use your information only for supplying the service they offer, and may not use your personally identifiable information for anything other than the primary purpose for which the information was collected. There is a section of the website where you can apply for a job with portamondial.com. 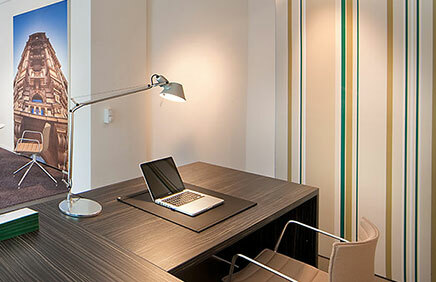 We collect personal information such as name and address to contact applicants in relation to their job application. We also ask for optional demographic information, which we use for recruitment purposes only. We do not share any of the above mentioned information with anyone else. We do not sell customer names or other private profile information to third parties and have no intention of doing so in the future. 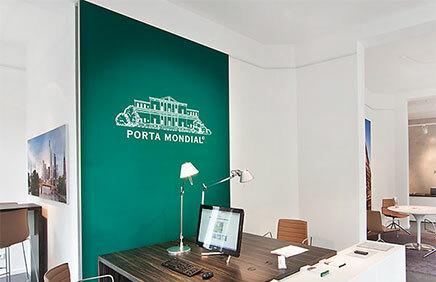 Occasionally, Porta Mondial Menorca will hire a third party to act on our behalf for projects such as market research surveys and contest entry processing and will provide information to these third parties specifically for use in connection with these projects. The information we provide to such third parties is protected by a confidentiality agreement and is to be used solely for completing the specific project. We at Porta Mondial Menorca are constantly researching the latest in technology to ensure that we are able to give you the most effective, informative and enjoyable experience on our site. An integral part of this is the use of permanent cookies. A cookie is a small text file that our site may send to your hard drive when you are logged on to the Porta Mondial Menorca website. When you next visit one of the websites of Porta Mondial Menorca, the site may request the retrieval of one of these cookies, and the information received will personalise our content, offers and services to suit your individual property preferences. If you want to know when our site is using a cookie from your hard drive, you can set your browser to send you an alert. If you prefer to use our site without utilising cookies, you can set your browser to not accept them at all, however, they will make your life easier. Many websites are employing this cookie technology and cookies are never to be used to store information of a private nature, such as credit card numbers. However, we tie cookie usage to personally identifiable information on our end to provide personalised real estate preferences. Also, you can be assured that the information stored in any cookies initiated by Porta Mondial Menorca cannot be accessed by any other websites. We inform you that by filling the actual forms, your personal data will be incorporated in the files of Porta Mondial Menorca. Please be informed that the personal data you provide us shall be handled with purpose of attend to your enquiry and sending you information which could be of your interest. 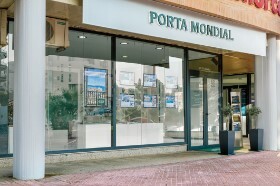 Porta Mondial Menorca undertakes to use the information gathered through this form, only for the above- stated purpose. In accordance with the provisions of current legislation on the Protection of Personal Data, we inform you that your data will be incorporated into the processing system owned by Porta Mondial Menorca with VAT number B57299356 and registered address shown below, in order to deal with your queries and send you any related information that may be of interest. In compliance with current legislation, Porta Mondial Menorca informs that the data will be kept for the period strictly necessary to comply with the aforementioned precepts. Unless you inform us otherwise, we will understand that your data have not been modified, that you agree to notify us of any changes and that we have your consent to use your data for the purposes mentioned above. Porta Mondial Menorca informs that it will treat the data in a lawful, loyal, transparent, adequate, pertinent, limited, exact and updated manner. That is why Porta Mondial Menorca undertakes to take all reasonable steps to ensure that these are deleted or rectified without delay when they are inaccurate. In accordance with the rights conferred by current data protection legislation, you may exercise your rights of access, rectification, limitation of processing, suppression, portability and opposition to the processing of your personal data, as well as the consent given for their processing, by sending your request to the postal address indicated above or to the e-mail address protecciondedatos@portamallorquina.com. In turn, we inform you that you can contact the Delegate of Data Protection of Porta Mondial Menorca, by writing to the email address dpo.cliente@conversia.es or via telephone +34 902 877 192. It may contact the competent Control Authority to submit any complaint it deems appropriate. When it comes to real estate, Porta Mondial Menorca are at your side with years of experience and in-depth knowledge of the market. you are reading: Privacy Statement - Porta Mondial Menorca · Porta Menorquina Rating 5/5 by 1 testimonials.